As we descend on the Copenhagen Airport, a series of small rotating flecks of white appear against the vast blue oceanic backdrop. After traveling through the night, these flecks are a welcoming sight, indicating that we will soon arrive at our final destination. Coming closer, the University of Southern Maine MBA 612 class gets its first glimpse at a fully functional commercial scale offshore wind farm. It is truly an impressive sight and one that will mark the beginning of an educational and cultural adventure. This blog is intended to highlight many of the activities we engaged in and describe why or why not many of the ideas, innovations, and opinions will lend themselves to the advancement of our energy policy in Maine as well as the United States as a whole. Copenhagen—like any city—has many cultural and economic challenges that have forced leaders to make difficult decisions. Often, these decisions are intended to make a city more competitive, both socially and economically. In the United States, we have made incredible investments in roadways and infrastructure to help alleviate traffic congestion and make our cities more accessible. As a result, more people are more likely to drive rather than rely on alternative forms of transportation such as walking, riding a bike, or using public transportation. Copenhagen is home to approximately 560,000 people, and overall 1.9 million people live in the greater metro area. This makes Copenhagen roughly the same size of Milwaukee, Wisconsin or Tucson, Arizona. 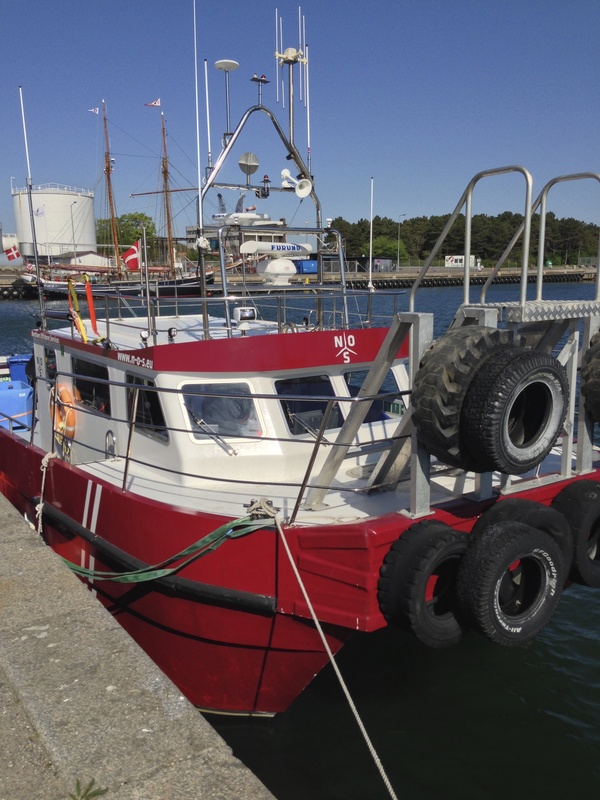 However, Copenhagen boasts a public transportation system that rivals cities much larger. Furthermore, it has a cycling infrastructure that allows for an orderly and organized flow of cyclists throughout the city. Equally impressive is the manner in which each of these different modes of alternative transportation was designed to work in conjunction with the others. During our first day of educational excursions, we had the opportunity to meet with the City of Copenhagen to hear how it has become an international beacon for urban sustainability. Copenhagen has set an ambitious goal of becoming carbon neutral by 2025. For a city of over 560,000 this is an incredible undertaking. Despite this, the city is making real progress toward reaching its goal. In fact, in 2011 it had already reached its 2015 CO2 emissions target through a 20% reduction in carbon emissions. While city officials are focused on environmental stewardship, they are concurrently striving to make decisions that will produce positive economic results. Many of the initiatives Copenhagen has implemented have reduced expenses and/or created additional revenues. Additionally, the city is repeatedly listed as one of the most livable and happiest cities in the world. 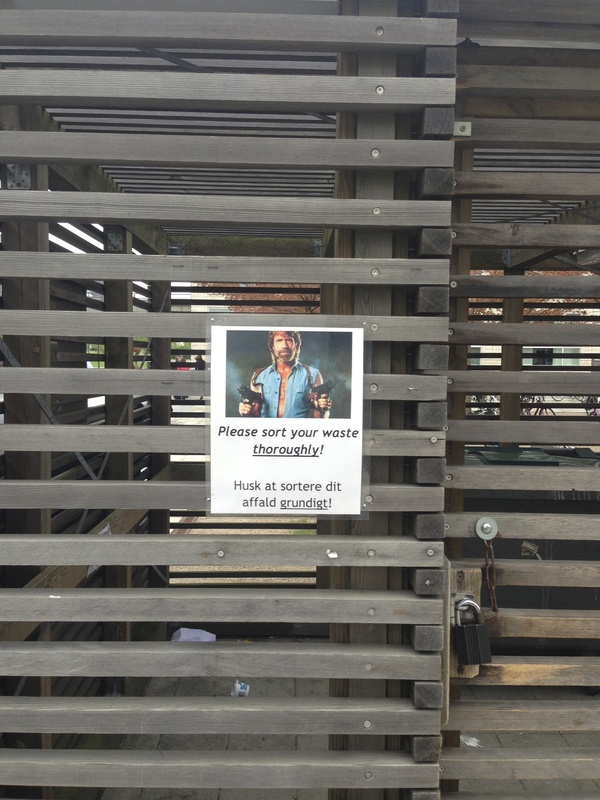 Engaging people, having fun with recycling! How has the city been able to do all of this? Upon speaking with representatives from the City of Copenhagen, I noted a few factors that I believe have helped contribute to the City’s success. First, the City set strict rules and guidelines for how change would be initiated; however, these guidelines were also focused on economic sustainability. Second, the city has supplied incentives for people to change their behaviors and accept a less carbon intensive and healthier lifestyle. Third, the city itself has been consistently supportive of these changes by investing large sums of money and leveraging private funds to pay more many of these changes. Finally, the City officials have created an environment where people not only feel healthier, but also connected to the changes that are taking place. The people of Copenhagen feel a sense of responsibility and thus are dedicated to advancing the City’s mission and reaching its goals. infrastructure and robust public transit system. 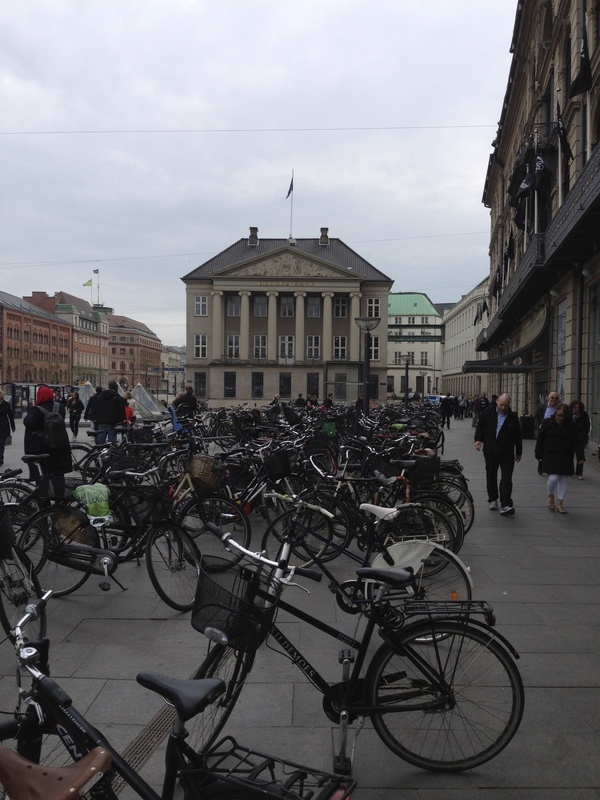 Copenhagen is a city of many bicycles. People ride bikes everywhere and in all conditions (as we witnessed during a couple of cold, rainy Danish afternoons). In fact, in 2011 35% of all trips to work or school were accomplished by bike. The city would like to increase this number to 50% by 2025. To accomplish this, the city has made it easy for people who ride by supplying dedicated bike paths throughout the city, hundreds of bike racks, and by allowing bikes to travel on the public transit system. Furthermore, the City has added numerous other unique features that make it easy for people to travel by bike. We were able to experience this firsthand during a bike tour with a gentleman who acted as a bicycle transportation and infrastructure consultant to the City of Copenhagen. During this tour, we used many of the features implemented to make the City more “bike friendly” and heard the logic behind these designs. Aside from the dedicated bike paths, the city has established a system—complete with streetlights—that allows for orderly bike travel by the masses. At rush hour it is not uncommon to see 50 or 60 cyclists lined up at a stoplight, much like cars at a busy intersection in Boston or New York. Additionally, the city has large bike racks at every metro station and allows bikes to travel inside dedicated metro cars. This allows for greater flexibility and enables people from outside the downtown area to bike from the metro station to their final destination. Due to the fact that many of the metro stations are underground, the city has installed small bike ramps allowing people to easily walk their bikes up stairs. The bus system is equally impressive and also allows for people to travel with bikes. Some of the steps the city has made to encourage cycling have simultaneously discouraged driving. As Lars, our cycling tour guide explained, many of the bike lanes were once parking spots or additional travel lanes. By reducing the number of lanes and parking spots in the city biking has become an easier, more convenient way to travel. I believe what Copenhagen has done is a practical solution to two major problems in the United States—traffic congestion and auto emissions. In Maine we have made steps to make the roadways more bike friendly by adding bike lanes and widening road shoulders. However, this only scratches the surface of what can be done. Maine’s snowy winters do make it more difficult to navigate on two wheels, but there are people who ride year round and more are likely to follow with a safer and easier system for travel. Remember, Denmark is cold too! In addition, there are tremendous opportunities beyond Maine in other parts of the United States. Much of our investment into roadway infrastructure has made it easier to travel. Making car travel easier has also increased our dependence on fossil fuels, reduced our activity levels, and decreased land values. About a year ago, I was fortunate to be invited to a private lunch where a Harvard Economist spoke about how we can “get the economy back on track.” He stated that investing in our decrepit infrastructure would provide the most impact and highest ROI for the money spent. I believe there is some merit to this argument; however, it believe it should come in the form of new, more sustainable alternatives, as has been done in Copenhagen. Aside from the technical limitations, wind power does face other issues. First, it requires an enormous investment of initial capital. This makes it difficult to compete with established power plants that have infrastructure in place. Furthermore, the conversion to cheap, cleaner burning gas is easy and much less costly. 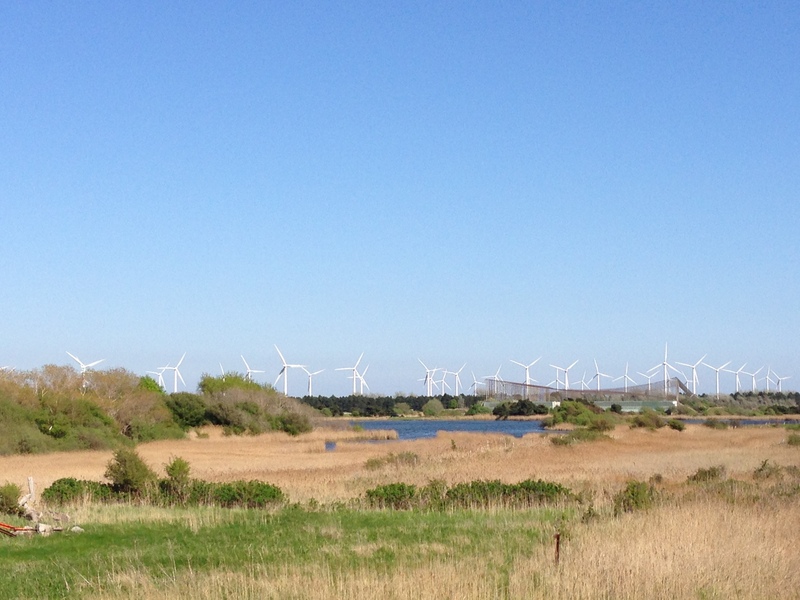 Wind power also suffers from the “not in my backyard” issue when a commercial scale wind farm encroaches on views. Lastly, energy cannot be stored, therefore it is difficult to control or predict when and how hard the wind will blow. This makes coordination between other, more predictable, power sources essential to meeting electricity needs during “peak” demand as well as not over producing during “off-peak” times. While wind has its challenges, it certainly has many benefits. Finding and extracting fossil fuels is equally—if not more—controversial than building wind farms. However, oil companies have immense political and financial power, making it difficult to wean off this country’s addiction to oil. Even if there is a chance it will produce a natural disaster. Wind, however, comes with less environmental risk but the economics are more challenging. This has created a situation where government incentives and public support play a key role. Unfortunately, the lagging economy and differing opinions on how to solve our energy crisis is making it difficult to garner widespread support for additional large-scale wind incentives. In recent years, we have made major progress in developing green energy and we can thank countries like Denmark for their initial investments that have paved the way in terms of development and public acceptance. As we move into a new age of energy exploration by focusing attention on domestic natural gas production, it is important for us not to lose sight of the fact that fossil fuels are a short term solution. Thus, further investments in renewable energy sources like wind power are more important to long term sustainability. Overall, I believe that Maine will continue to adopt wind as an alternative source of energy. Shifting cultural beliefs and expectations take time and we are just beginning our journey into the world of wind power. I also believe that a large-scale offshore wind farm, such as Rösand II, will provide an incredible opportunity for job creation and energy sustainability both in Maine and other states. Aside from the wonderful memories, the incredible learning experience, and the opportunity to speak with such esteemed professionals, two other aspects of the Danish culture truly impressed me. First, the Danes have an incredibly complete view of how to make things work. The Danes are focused on maximizing potential and extracting the most value out of a given idea. They are detailed. An example is Copenhagen’s cycling initiative: instead of just building bike paths, they have built their entire transportation infrastructure around accommodating cyclists. The second aspect is commitment. The Danes have committed to creating sustainable communities, encouraging environmental stewardship, and developing green energy. Change is not easy and is often met with adversity. However, by making strong commitments to change, the people of Denmark have been able to put into place consistent and incremental changes that have enabled the country to meet its goals and promote its mission. This is absolutely something we can learn from! Aside | This entry was posted in Danish culture and energy. Bookmark the permalink.